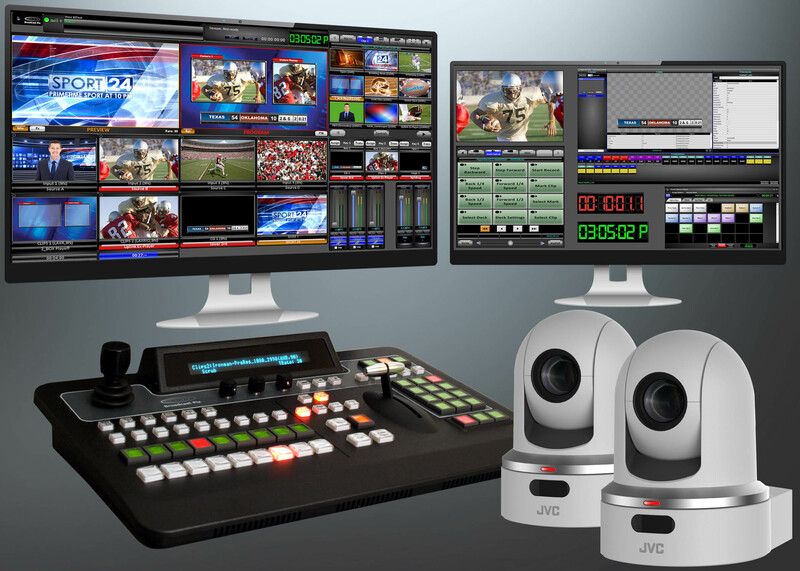 JVC News Release -- JVC and Broadcast Pix offer multi-camera system bundle. WAYNE, NJ (Nov. 6, 2017) – JVC Professional Video, a division of JVCKENWOOD USA Corporation, today announced a partnership with Broadcast Pix to save customers more than $3,000 on a multi-camera production system bundle through Dec. 31, 2017. With the purchase of any Broadcast Pix Flint integrated production switcher and at least two JVC KY-PZ100 robotic PTZ video production cameras, customers will receive JVC camera control software (a $950 value) and a one-year extended warranty ($1,250 value) from Broadcast Pix. 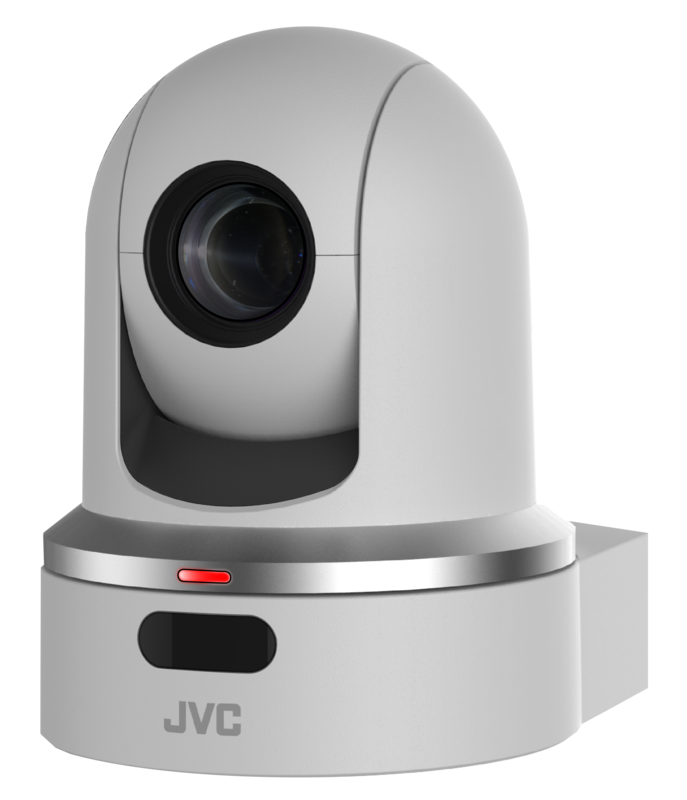 Plus, at time of purchase, dealers will provide an instant $450 rebate ($300 camera rebate plus $150 bundle rebate) for each JVC PTZ camera purchased. Flint offers four HD/SD-SDI/HDMI inputs, plus eight channels of clips and graphics, up to four network inputs, and seven outputs. Other built-in features include an eight-channel audio mixer, three keyers with DVE, ClearKey chromakey with Virtual Studios, BPview customizable multi-view, dual channel CG, file-based macros, HD streaming and recording, and BPNet cloud-based content sharing and distribution. Available in black or white housings, the KY-PZ100 features a 1/2.8-inch CMOS sensor and 30x optical zoom lens. Its f/1.6-4.7 maximum aperture delivers excellent low-light performance. 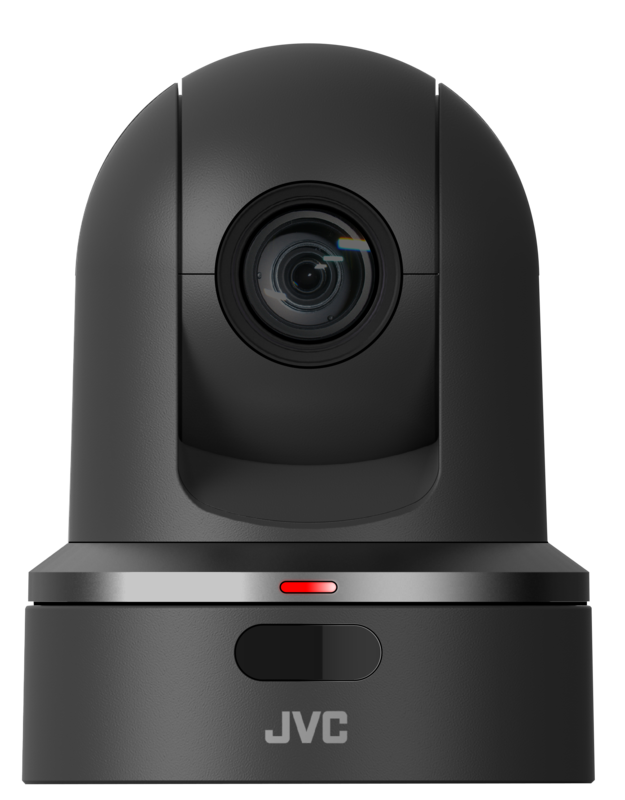 Ideal for studio or field applications, it also offers HD streaming at a variety of bit rates with minimal latency, as well as on-board HD recording at up to 50 Mbps to a MicroSDHC/SDXC media card. Both the JVC cameras and Broadcast Pix switcher must be purchased new and at the same time from a participating JVC / Broadcast Pix dealer between Nov. 1, 2017, and Dec. 31, 2017. Customers should specify “JVC-BPIX” on their purchase orders to the reseller. Fulfillment of the Broadcast Pix products in this bundle is the responsibility of Broadcast Pix. For complete details, visit pro.jvc.com/pro/promo/bpix. Founded in 2002, Broadcast Pix provides integrated live video production switchers with the best control. From compact mobile units to large-scale solutions, every Broadcast Pix features patented control and automation technology that make it easy to optimize and customize your workflows. With customers in more than 100 countries, Broadcast Pix is the leader in totally integrated production switchers for broadcast, streaming, live event, and visual radio applications. Its BPNet ioGates media management products are used by leading broadcasters and production houses. Learn more at www.broadcastpix.com.